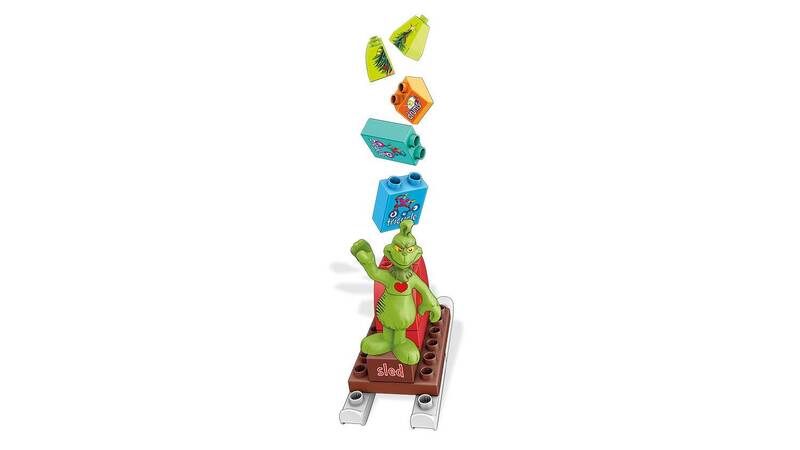 Spin the gear and make the Grinch return the Christmas cheer! 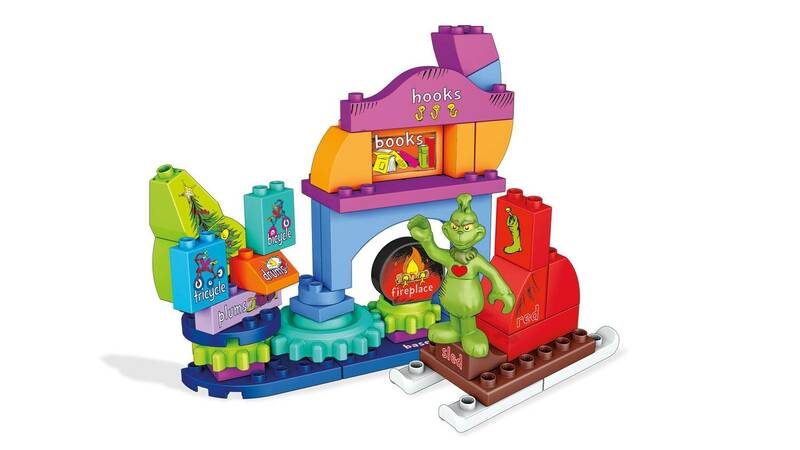 Go on a giving spree and return the Who-ville glee! 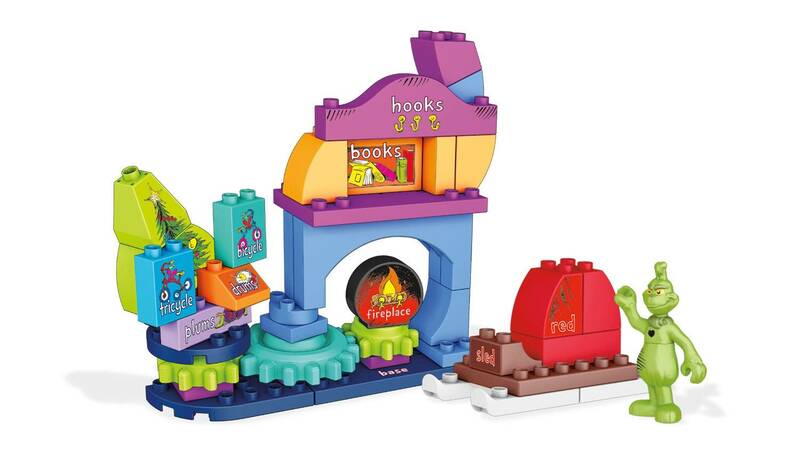 When you build Cindy Lou’s living room, little Dr. Seuss fans can use blocks to learn that it’s never too late to have a change of heart! 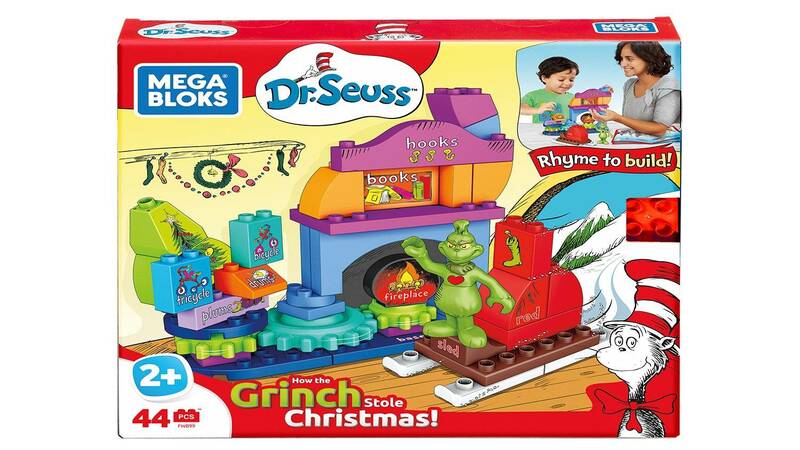 Follow the rhymes and stack the blocks to build the festive living room inspired by How the Grinch Stole Christmas. At the turn of the gear, the Grinch steals the Christmas cheer. 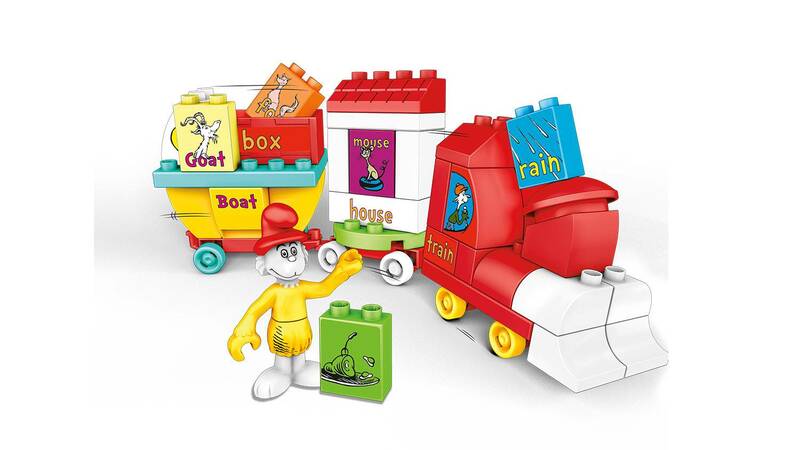 But then, when he returns the toys and fun, his heart grows by 3 whole sizes before the day is done! 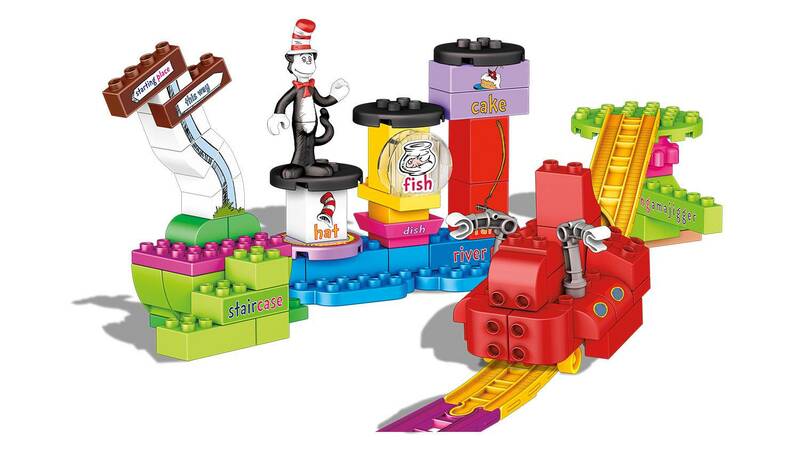 • Rhyme to build the entire Mega Bloks® Seussville world!